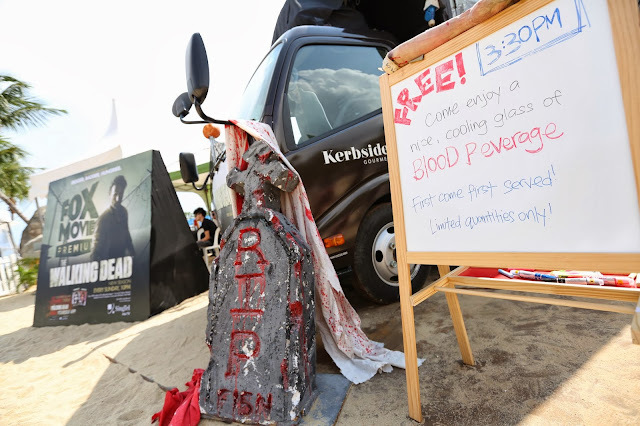 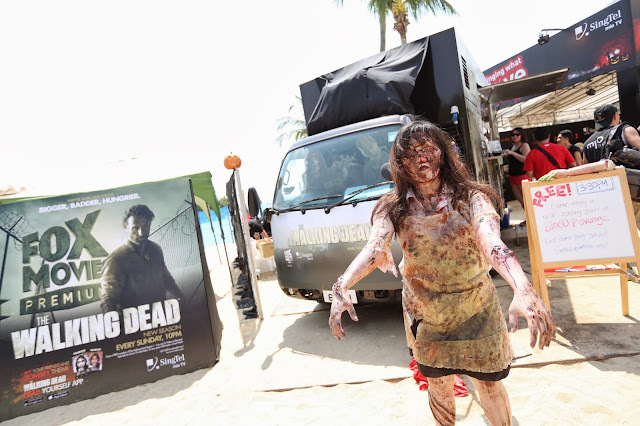 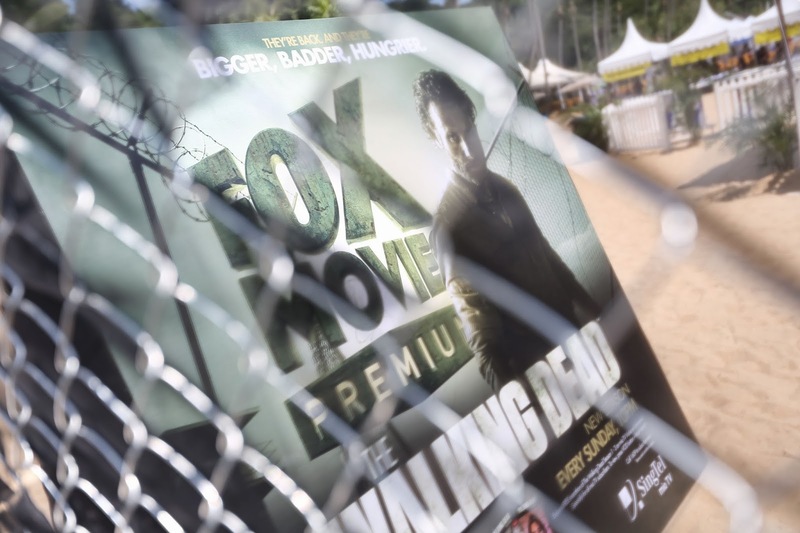 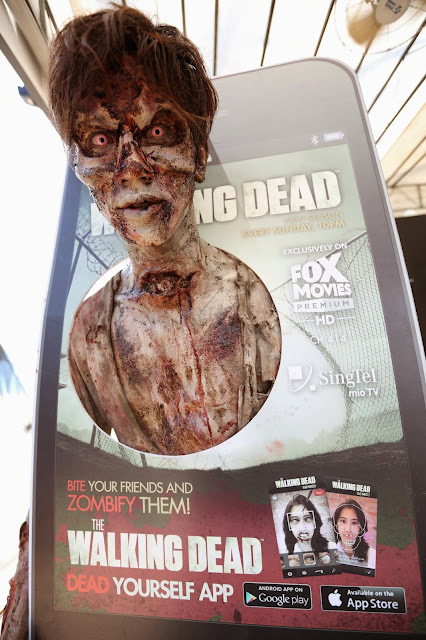 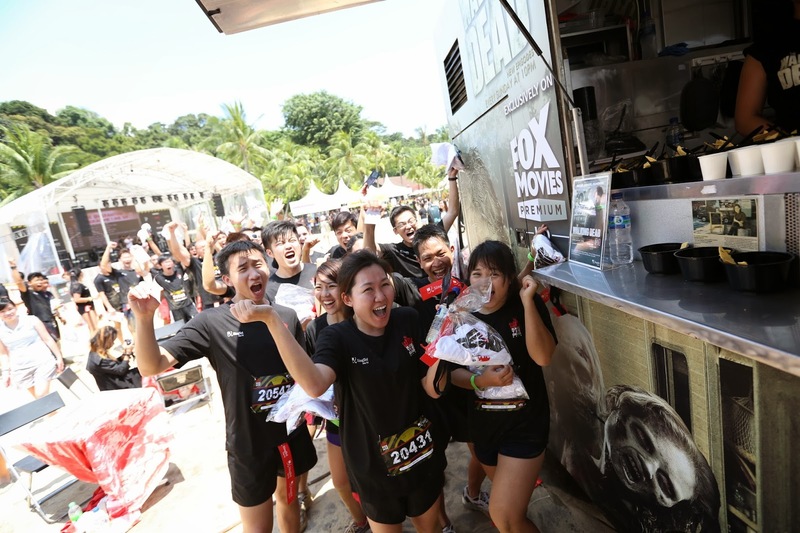 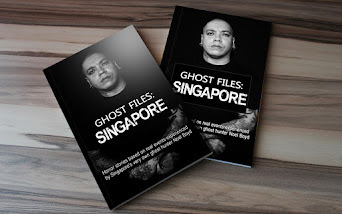 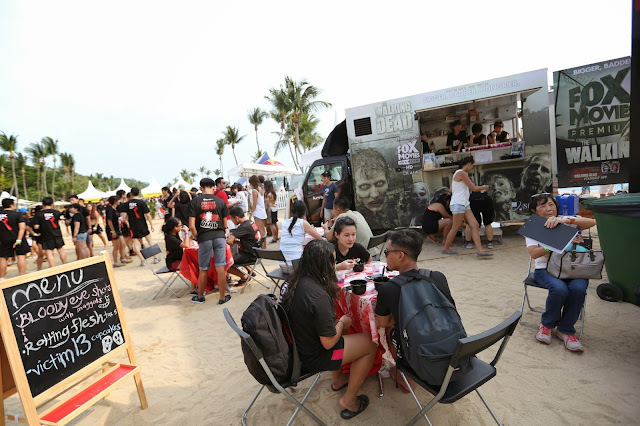 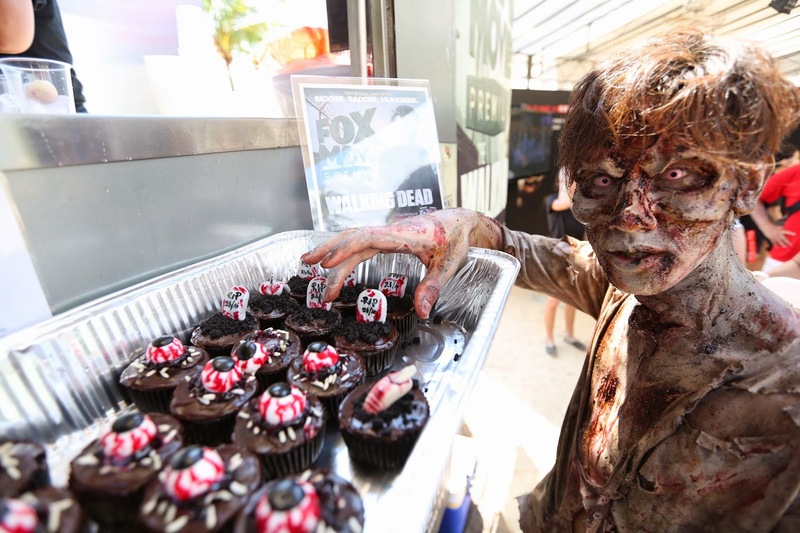 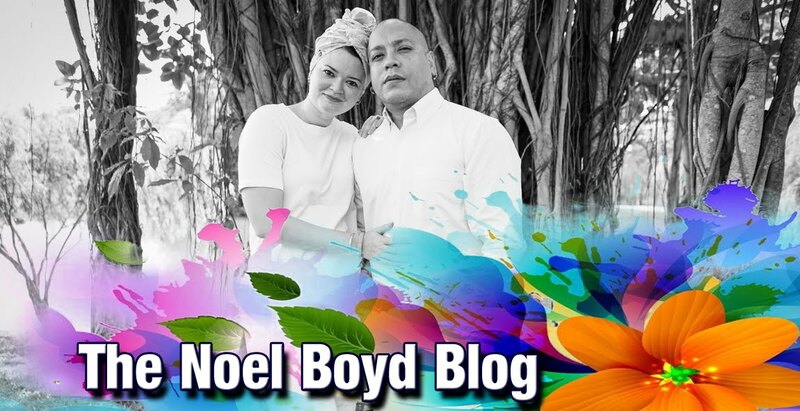 Being a huge fan of The Walking Dead, I was stoked SingTel mio TV and FOX Movies Premium had a cafe at the recent Race The Dead event at Sentosa. 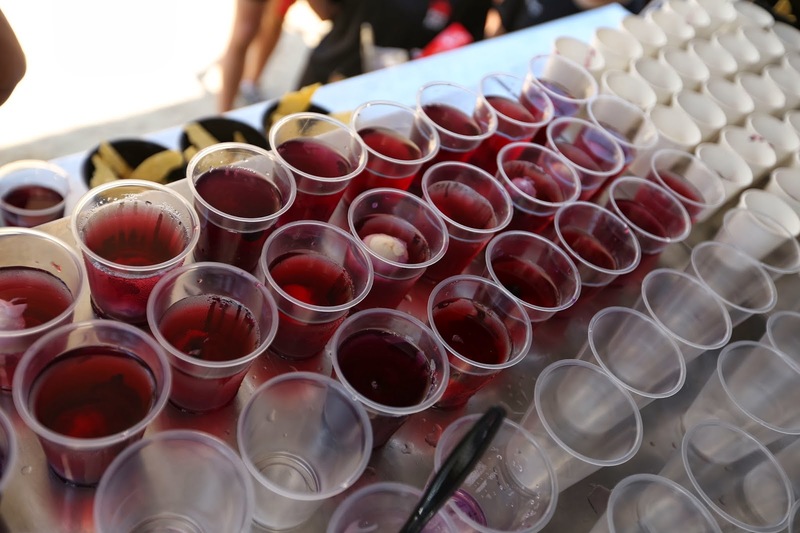 While over 5,000 participants had the run of their lives, I indulged in rotting flesh tacos, bloody-eye shots with maggots and blood beverages at The Walking Dead Zombie Pop Up Café. 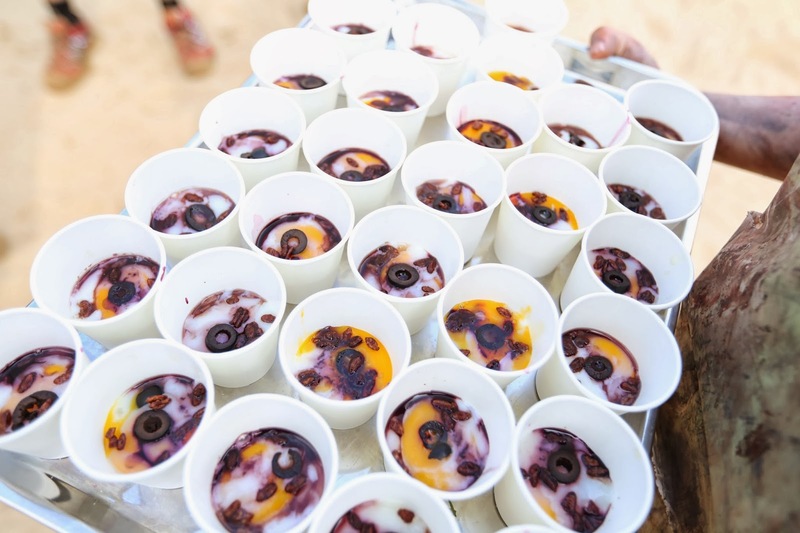 Sounds disgusting? 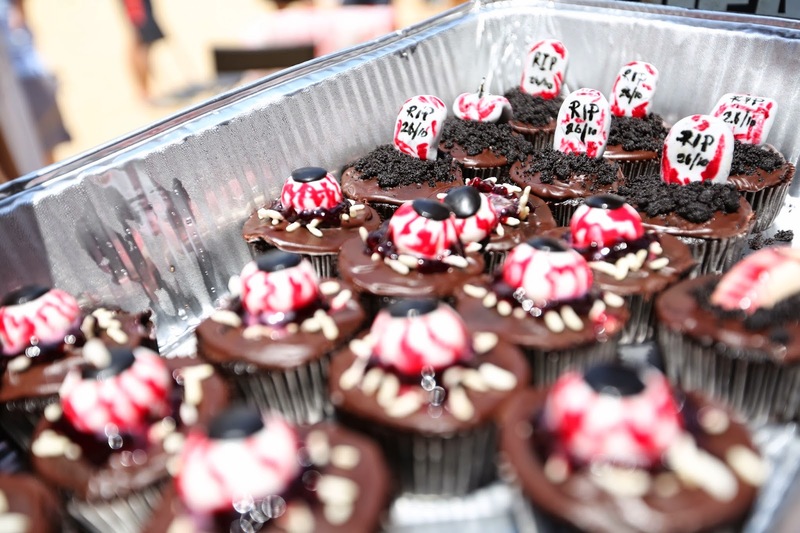 Well that was the menu at the Quarantine Carnival. 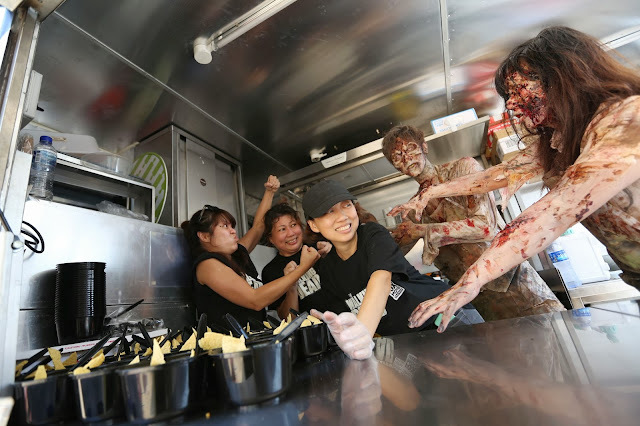 If the food wasn't amazingly cool enough, the zombies were! 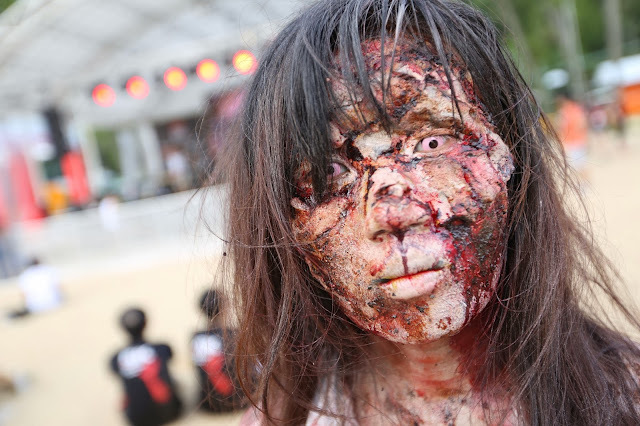 They did a helluva job with the make-up. 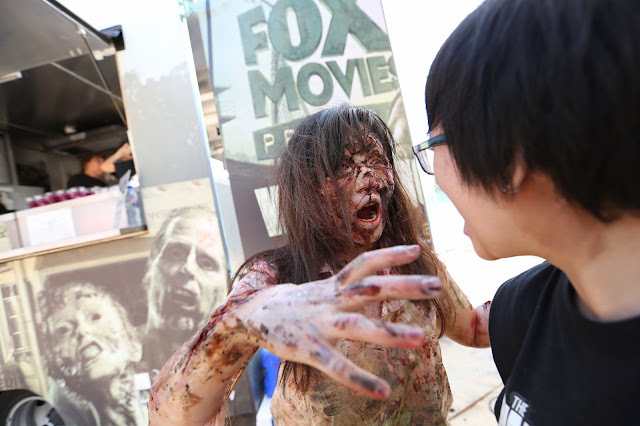 It felt like we were on the Walking Dead set! 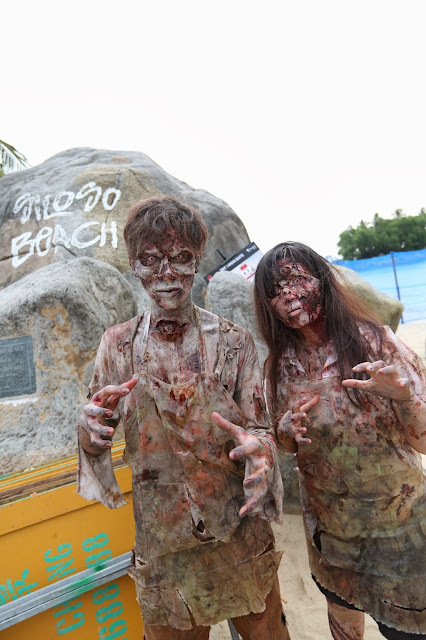 The zombies didn't spare the crew too. 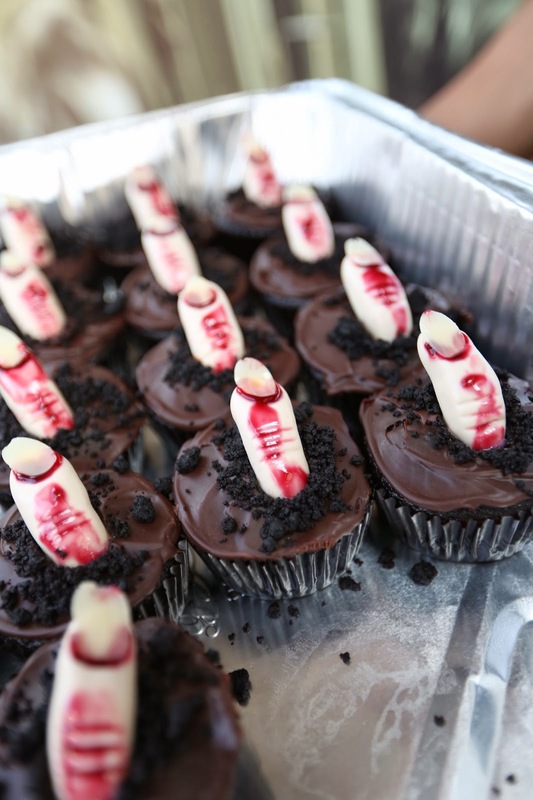 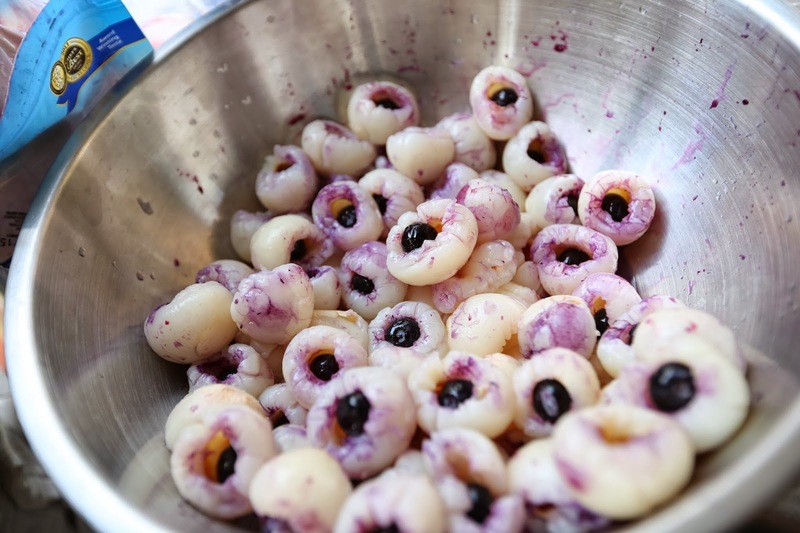 There were gory fingers too! 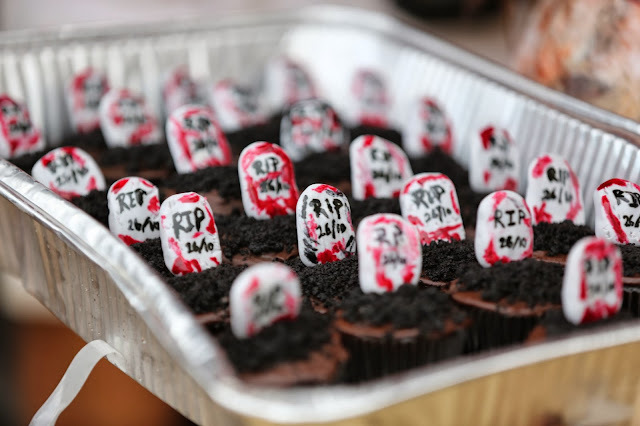 The Race The Dead participants. His make-up is really really good too!